Established in 1992 and after years of hard work, Yixing Xingfeng Ceramics Products Plant has developed a professional team of technical persons and management persons. At present, there are totally 380 employees, including 29 engineers. The plant occupies an area of 13800 square meters, and owns a fixed capital of more than 6 million CNY. The products have been exported to overseas markets, including European, America and Southeast Asia, with the value of export amounting to more than 60% of the total value. It has been devoted to the development and production of a wide range of new ceramics products, including ceramics for electronic/electric appliances, ceramics for textile devices, ceramics bars, pipes, refractory products, colorful 95 aluminum oxide ceramics, titanium ceramics, magnesia ceramics, radio-ceramics and so on. What's more, we can also produce various kinds of customized engineering ceramics. The products as provided by us are characterized by high mechanical strength, highstability, good chemical property, high insulating strength and good electric property. They are widely used in electronic/electric indutry, chemical industry, textile industry, mechanical industry, instruments-making industry and so on. We follow ISO900 in our service. The origin of ceramics is in China, and the most famous place for ceramics in China is Yixing, also called the capital of ceramics. The city, as the traffic junction of Shanghai, Ningbo and Hangzhou, is a bright pearl in Changjiang delta region. 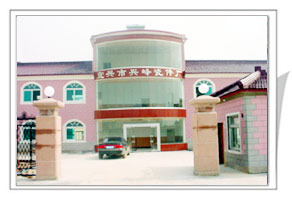 Both domestic and overseas clients are welcome here to cooperate with us!